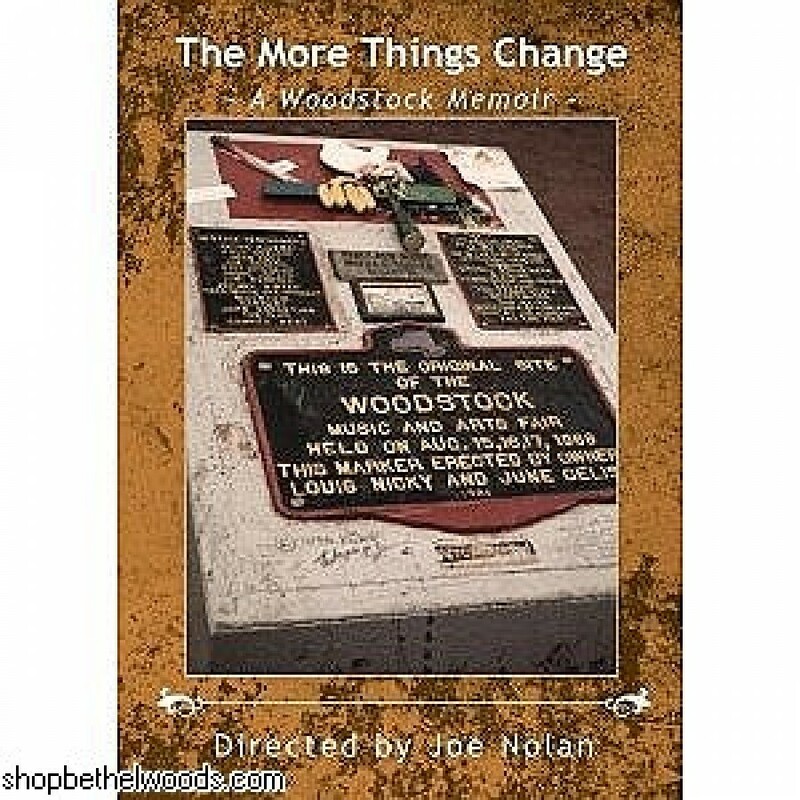 The scope of 'The More Things Change' - A Woodstock Memoir, encompasses key events of the past half century, while remaining a very personal, touching and thoughtful film. It will leave viewers with an understanding of not only the essence of the Woodstock spirit, but a history lesson absent from many textbooks. The Woodstock Music and Art Fair of 1969 is at the center of this unique documentary. As an attendee, the filmmaker's account is personal, but the scope is broadened to put the event into the context of its times. Through the seventies and much of the eighties, the original concert site slips into near obscurity before being resuscitated by the building of a monument by local artist, Wayne Saward. Later, cable television executive, Alan Gerry, purchases the site, promising to develop it into a world class arts and entertainment center. The development of the grounds is juxtaposed with the immense Social, Political, Medical and Technological advancements that occur during this very significant period of American History. For the forty-first anniversary, the filmmaker returns to the original site and interviews Woodstock celebrants and volunteers, who work long hours to put on a free concert. He learns that they are coming back for the special feeling they get from joining like-minded pilgrims for three days of peace and music. Indeed, it seems the old saying is true: The more things change, the more they stay the same.